Even the tiniest plant container deserves a lift. Elevate small containers against a colored wall for a living vignette. These are hand cut from a single piece of wood by artisans in Nicaragua. 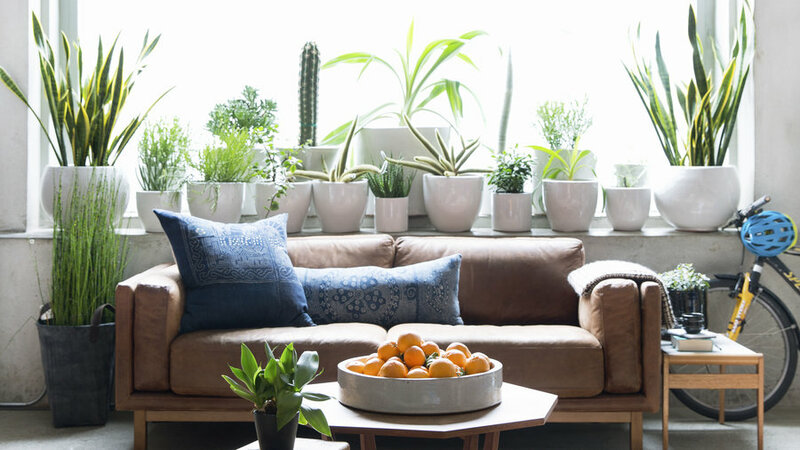 Use a wide windowsill as a stage for potted plants. 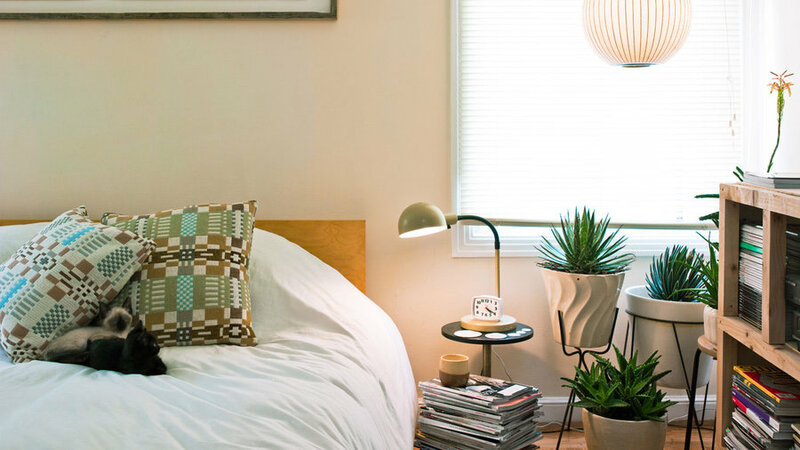 The collection serves as a visual barrier (and can help absorb sound) and will thrive with the natural light. Vary the silhouettes and structure of your plants for visual interest. 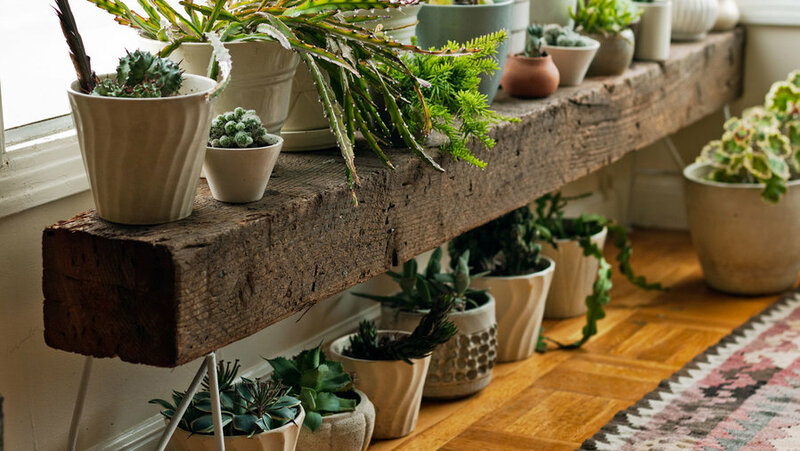 Is your plant collection past capacity for floor space? 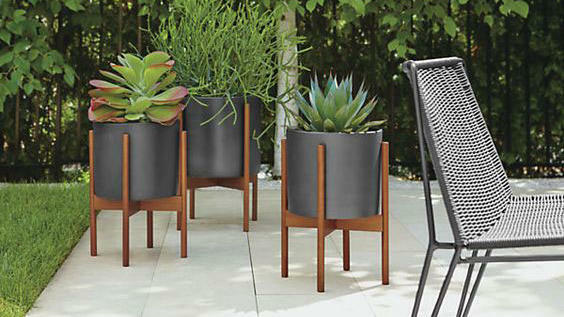 Create a second tier of containers by positioning pots atop and below a bench. Keep the tallest ones (and trailing ones) up top and tuck in smaller containers at front so they don't get lost on the floor. 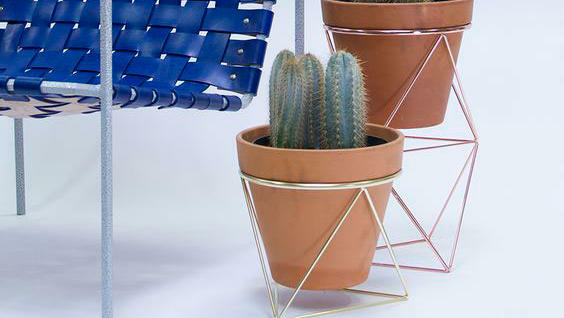 Give your plants the royal treatment with these made-in-L.A. copper or brass by Eric Trine. As much artistic sculpture as they are a functional lift for houseplants, each fits a standard 10-inch terra cotta pot. Single plants can look dwarfed when residing solo. Group two or three containers of the same color on plant stands of varying heights to fill out a space. 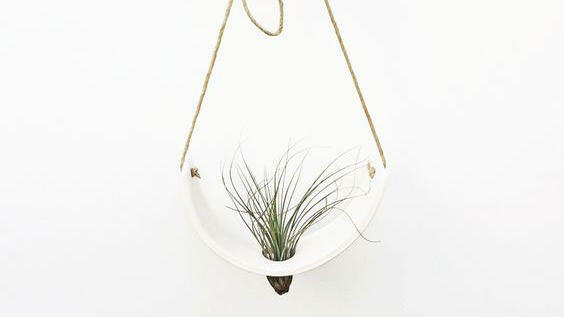 For plants that prefer not to sit, consider a hanging perch. This by Mudpuppy Ceramic Studio features white earthenware and hemp cord and showcases an airplane's unique beauty. This by Trey Jones Studio is expertly crafted of American white ash with a plastic lined hand-turned wood drip tray. 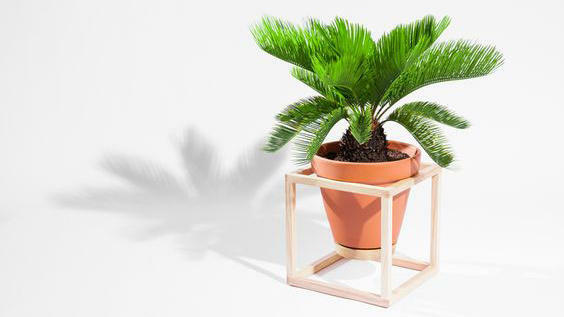 Admittedly a splurge, don't miss the dream-worthy frame planter side table—with a marble tabletop! 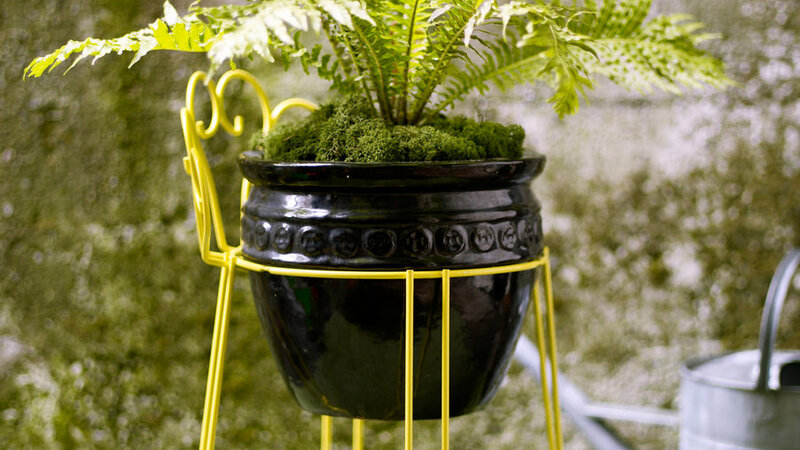 Reinvent a metal chair as a unique plant stand. After removing the seat and finding a pot to fit, sand and paint the frame. Apply two coats of paint, letting the stool dry thoroughly between coats. Set in your pot and enjoy! All tips apply for outdoor containers too. These feature matt glazed ceramic (in charcoal or white) and weatherproofed Brazilian walnut. 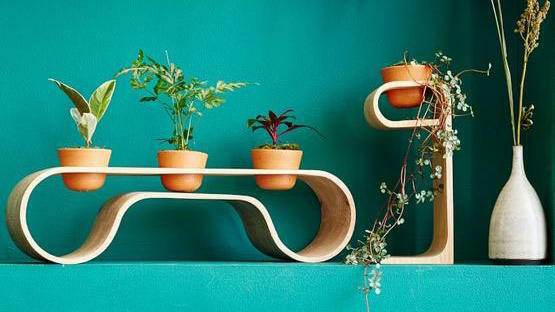 The mid-century style adds a sculptural foundation to your plant collection.